Sponsor is The University of Texas at El Paso on behalf of its College of Liberal Arts, Department of Communication Borderzine publication (“Sponsor”). The submission term for the 2018 Borderzine Photo Contest: Sin Fronteras – Without Borders (the “Contest”) begins August 29, 2018, at 12:00:00 p.m. U.S. Mountain Standard Time (“MST”) and ends November 1, 2018, at 12:00:00 p.m. MST (“Entry Deadline”). ONLY entries received by the Entry Deadline will be considered. By submitting an entry, each entrant agrees to the Official Rules as established herein and warrants that his or her entry complies with all requirements set out in the Official Rules. This is a skill-based contest and chance plays no part in the determination of winners. Contest is open to college students located within the continental United States and enrolled in a United States accredited institution of higher education (“Entrant’s University”). Employees of Borderzine and their immediate family members (spouse, parent, child, sibling and their respective spouses, regardless of where they live) or persons living in the same households of such employees, whether or not related are not eligible. Each entry consists of an entry form, a single photograph, and the applicable entry fee. The entry fee is $15 U.S. per entry. To enter, visit https://givingto.utep.edu/donation-pages/without-borders-photo-contest complete an entry form with the required information, including your name, address, telephone number, your college or university email address and photo caption; and submit along with your photograph and fee in accordance with the following requirements. 1. Photographs must be submitted in digital format. Only online entries thru the https://givingto.utep.edu/donation-pages/without-borders-photo-contest will be accepted. No print or film submissions will be accepted for entry into this Contest. The photograph need not be taken with a digital camera; scans of negatives, transparencies, or photographic prints are acceptable. Do not submit original negatives, prints, or slides as they will not be returned. 2. All digital files must be at least 5 megabytes at a minimum of 300 dpi, must be in JPEG or .jpg format, and must be at least 1,600 pixels wide (if a horizontal image) or 1,600 pixels tall (if a vertical image). 3. Photographs must have been taken within one year before the date of entry and may not have previously won any awards in a national contest. 4. Only minor burning, dodging and/or color correction is acceptable, as is minor cropping. Any changes to the original photograph not authorized under these rules are unacceptable and will render the photograph ineligible for a prize. 5. Photographs that include sculptures, statues, paintings, and other works of art will be accepted as long as they do not constitute copyright infringement or fraud; entrants must be prepared to provide a release form as described below in “Release.” When photographing the work of others, it must be as an object in its environment and not a full-frame close-up of another person’s art. 6. The photograph, in its entirety, must be a single work of original material taken by the Contest entrant. By entering the Contest, entrant represents, acknowledges, and warrants that the submitted photograph is an original work created solely by the entrant, that the photograph does not infringe on the copyrights, trademarks, rights of privacy/publicity, or any other intellectual property rights of any person or entity; and that no other party has any right, title, claim, or interest in the photograph. 7. The photograph must not, in the sole and unfettered discretion of the Sponsor, contain obscene, provocative, defamatory, sexually explicit, or otherwise objectionable or inappropriate content. 8. The caption must be complete and accurate, sufficient to convey the circumstances in which the photograph was taken. 9. Watermarks are unacceptable. Unless Sponsor receives a non-watermarked version of the entry within ten (10) days following its request, the entry will be disqualified. 10. Proof of submission is not proof of receipt. Entries properly submitted will receive an email confirming receipt of submission. Confirmation email will be the only acceptable proof of submission. 11. Entries must be made by the person identified by the Entrant’s University as the authorized account holder of the university issued e-mail address. “Authorized Account Holder” is hereby defined as the natural person who is assigned to an e-mail address by the Entrant’s University. 12. Entries are void if Sponsor determines the photograph to not be an original, or if the entries are incomplete, inaccessible or blocked, corrupted, damaged, irregular, altered, counterfeit, produced in error or obtained through fraud or theft. The panel of judges (“Panel”) consists of two (2) judges (each individually “Judge”), each of which shall be considered a photographic expert in their field. One (1) judge will be a member of the Sponsoring Institution’s faculty, and one (1) judge will be considered a photographic expert independent of and without employment relation to the Sponsor. Panel shall take into account the following as judging criteria for each entry: (a) Creativity (34%); (b) Photographic quality (34%); and (c) Genuineness and authenticity of the content (32%). Winners will be chosen and information posted on Boderzine no later than November 15, 2018 and will be notified via e-mail. Decisions of the Panel are final and binding. No additional appeals and/or reconsideration process will be granted. If the photograph contains any material, elements, copyrights or trademarks, that are not owned by the entrant and/or which are subject to the rights of third parties, and/or if any persons appear in the photograph, the entrant is responsible for obtaining, prior to submission of the photograph, any and all applicable and necessary releases and consents necessary to permit the copyright, exhibition and use of the photograph. Upon Sponsor’s request, each entrant must be prepared to provide within seven (7) calendar days of Sponsor’s request, a duly executed release from all persons, trademark or copyright holders, which appear in the photograph submitted, authorizing entrant, Sponsor, and/or their respective licensees (“Authorized Parties”) releasing of any past, present or future liability and granted an unlimited, unrestricted, irrevocable license to reproduce, distribute, display, and create derivative works of the entry, in connection with the Contest and promotion of the Contest, at Sponsor’s sole discretion, in any media now or hereafter known. Failure to provide such releases upon request may result in disqualification at any time during the Contest. For the purposes of this Contest the entrant will be deemed to be in receipt of Sponsor’s request or notification, (a) in the event that Sponsor sends the request by United States certified mail, five (5) business days after the request was sent by Sponsor, or (b) in the event that Sponsor sends the request via email, on the day that the email was sent by Sponsor. Failure to provide and deliver any required documents to Sponsor within the specified terms may result in automatic disqualification from the Contest. Request of required documentation does not indicate the entrant will be, or has been, selected as a winner. The First Place Winner will receive a gift certificate from “B&H Photo and Video” (aka B & H Foto and Electronics Corp) valued at $250.00 (Two Hundred Fifty Dollars 00/100), the winning photograph will be published in Borderzine.com, and displayed in a photo gallery exhibit at The University of Texas at El Paso. Second Place Winner will receive a a gift certificate from “B&H Photo and Video” (aka B & H Foto and Electronics Corp) valued at $100.00 (One Hundred Dollars and 00/100), the winning photograph will be published in Borderzine.com, and displayed in a photo gallery exhibit at The University of Texas at El Paso. Winners are responsible for all taxes and fees associated with receipt of the prize and/or use thereof. Odds of winning a prize depend on the number of eligible entries received and skill of the entrant. No prize transfer, assignment, or substitution by winners permitted. If a prize (or part of a prize) is unavailable, Sponsor, in its discretion, reserves the right to substitute the original prize (or that part of the prize) with an alternative prize of equal or greater monetary value and/or specification, unless to do so would be prohibited by law. By entering the Contest, all entrants grant an irrevocable, perpetual, worldwide non-exclusive license to Authorized Parties, to reproduce, distribute, display and create derivative works of the entries (along with a name credit) in connection with the Contest and promotion of the Contest, in any media now or hereafter known, for no additional compensation, including but not limited to: display at a potential exhibition of winners; publication of a book featuring select entries in the Contest; publication in The University of Texas at El Paso publications, Borderzine.com highlighting entries or winners of the Contest; and offering as downloadable wallpaper to users of the Borderzine website (the “License”). Display or publication of any entry on an Authorized Party’s website does not indicate the entrant will be selected as a winner. Authorized Parties will not be required to pay any additional consideration or seek any additional license, release and/or approval in connection with such use as authorized by this License. Additionally, by entering Contest, each entrant grants to Authorized Parties the unrestricted right to use all statements made in connection with the Contest, and pictures or likenesses of Contest entrants, or choose not to do so, at their sole discretion, except where prohibited by law. By entering this Contest, all entrants agree to release, discharge, and hold harmless Sponsor, The University of Texas System, and their respective, Regents, employees, officers, directors, partners, affiliates, subsidiaries, agents, and representatives from any claims, losses, and damages arising out of their participation in this Contest or any Contest-related activities and the acceptance and use, misuse, or possession of any prize awarded hereunder. Sponsor assumes no liability for any error, omission, interruption, deletion, defect, or delay in operation or transmission; communications line failure; theft or destruction of or unauthorized access to Contest entries or entry forms; or alteration of entries or entry forms. Sponsor shall not be liable for any problems with, or technical malfunction of any telephone, network, or lines, computer online systems, servers or providers, computer equipment, software, failure of any entry to be received on account of technical problems or traffic congestion on the Internet or at any website, human errors of any kind, or any combination thereof, including any injury or damage to entrants’ or any other persons’ computers, hardware, software, etc. related to or resulting from participation, submission, uploading or downloading of any materials related to in this Contest. THIS CONTEST IS VOID WHERE PROHIBITED. 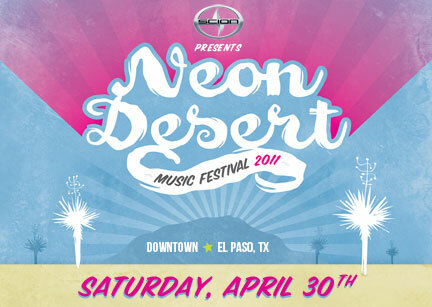 Entrants agree that this Contest shall be subject to and governed by the Constitution and laws of the State of Texas and the forum for any dispute shall be in El Paso, Texas, United States of America without regard to any conflict of laws rules and/or provisions if and to the extent such rules would apply the substantive laws of another jurisdiction. To the extent permitted by applicable law, the right to litigate, to seek injunctive relief or to make any other recourse to judicial or any other procedure in case of disputes or claims resulting from or in connection with this Contest are hereby excluded and any entrant expressly waives any and all such rights. Certain restrictions may apply. All federal, state, and local taxes, fees and surcharges and taxes (whether foreign or domestic, and including income, sales, and import taxes) on prizes are the sole responsibility of the prize winners. In the event that the selected winner of any prize becomes ineligible, does respond within ten (10) calendar days to the winner notification, or refuses the prize, the prize will be forfeited and Sponsor, in its sole discretion, may choose a different entrant from the first round to award the prize. If for any reason the Contest is not capable of running as planned, due to infection by computer virus, bugs, worms, trojan horses, denial of service attacks, tampering, unauthorized intervention, fraud, technical failures, or any other causes beyond the control of Sponsor that corrupt or affect the administration, security, fairness, integrity, or proper conduct of this Contest, Sponsor reserves the right, at its sole discretion, to disqualify any individual(s) who tamper with the entry process, and/or to cancel, terminate, modify, or suspend the Contest. If Sponsor elects to cancel or terminate the Contest, Sponsor will not retain any rights in the submitted photographs, and will shall take all reasonable measures and efforts to return the fees submitted with each entry. Entrants agree that personal data, especially name and address, may be processed, shared, and otherwise used for the purposes and within the context of the Contest and any other purposes outlined in these Official Rules. The data may also be used by Sponsor in order to verify the entrant’s identity, postal address, and telephone number or to otherwise verify the entrant’s eligibility to participate in the Contest. Personal data received as related to the Contest will be used by Sponsor exclusively for the purposes stated herein.